This weekend Sean and I got our tree, which historically is probably the earliest I've ever gotten a tree up! 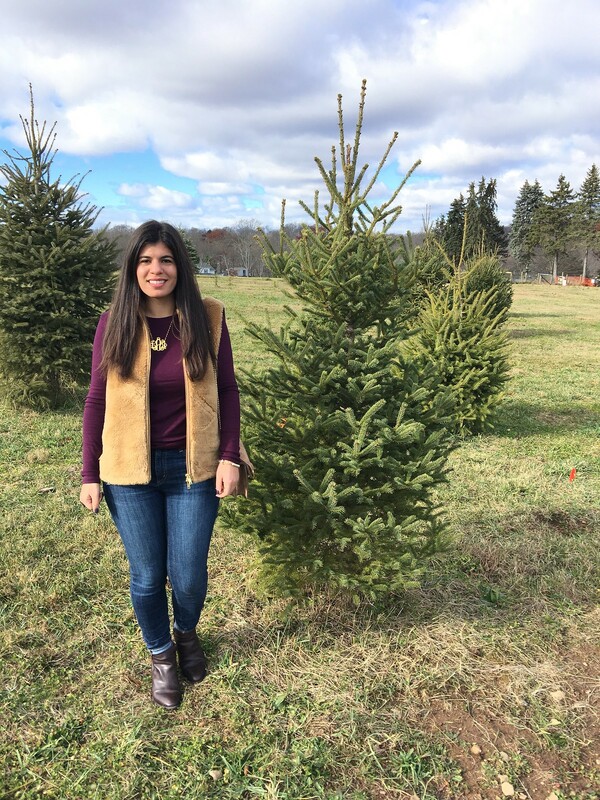 Feeling put out by the huge tree farms, I called around until I found Totoket Tree Farm in North Branford, CT. It's a small farm and the cut your own trees were only $40. As with so many other things, it's always better to support local businesses instead of going to lots where the trees are trucked in from Canada. 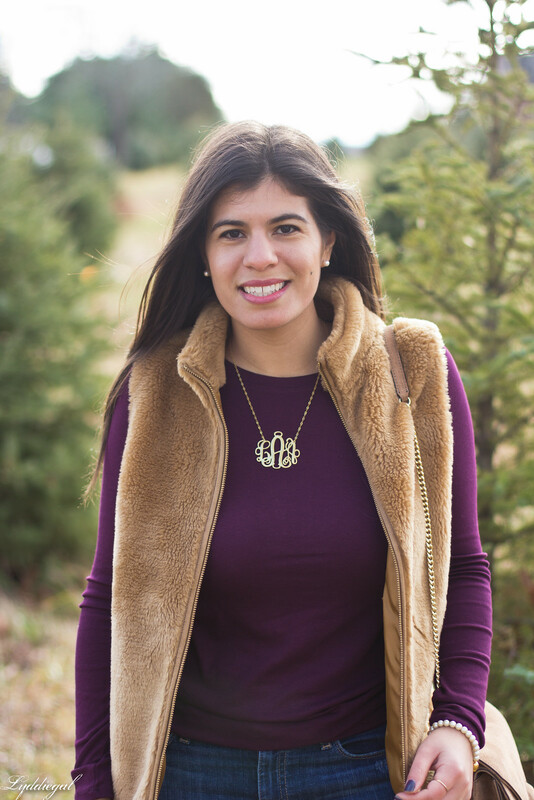 For our little trip to the tree farm I decided to wear my new fleece vest and my gorgeous new monogram necklace from Get Personalized Jewelry. 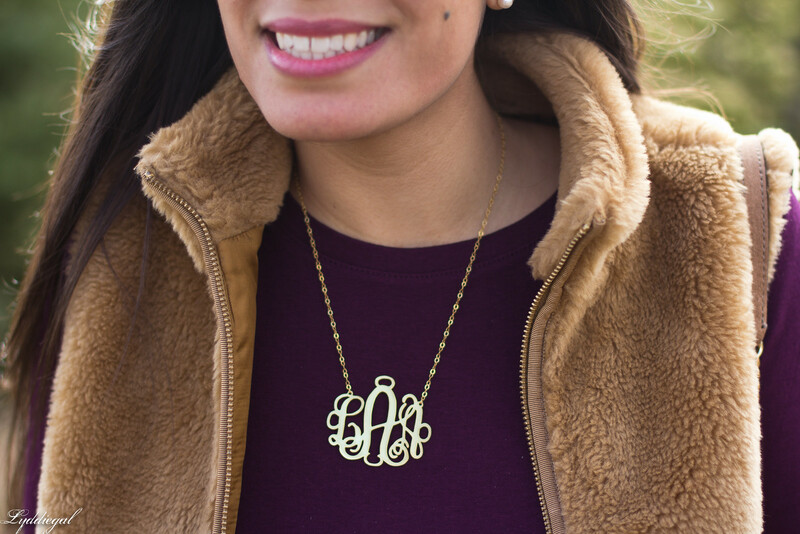 The statement making 2" monogram is a beautiful shiny 18k gold plated sterling silver. It came in a cute gift box and included a polishing cloth. I love the idea of giving personalized gifts and Get Personalized Jewelry has so many options! Since the turn around time is about 15 days, orders should be placed soon to get pieces by Christmas. The Christmas season is underway and I'm looking forward to getting my tree decorated, wreath up, gifts wrapped (when I finish shopping of course) and taking in as much of the holiday as I can. Get Personalized Jewelry Provided me with this necklace for the purpose of this post. My views and opinions are my own. We had a Christmas tree fail because there were few trees left this Saturday but I'll look for him on Wednesday! 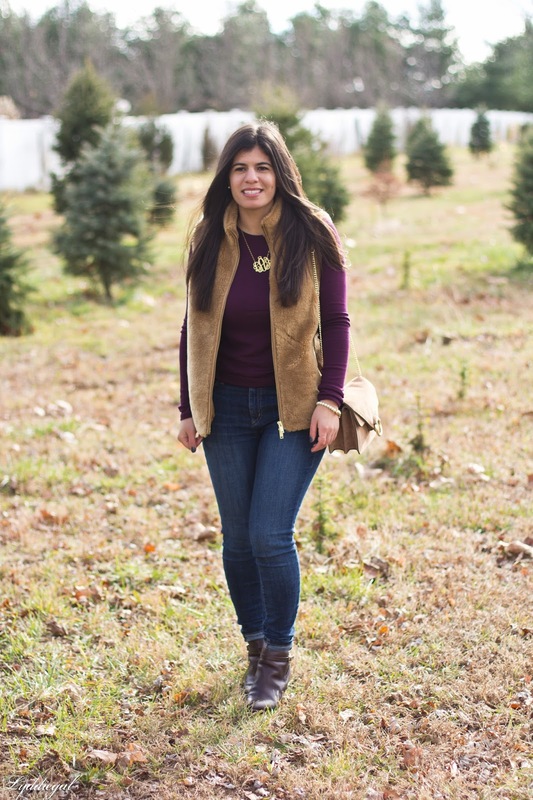 I love your outfit - so lovely for fall! This outfit is Christmas tree cutting perfection! 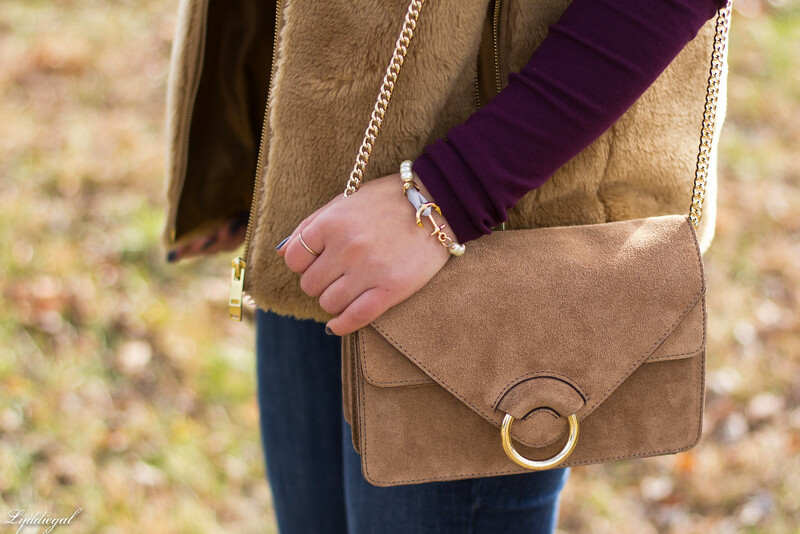 I love the color of your top with that fur vest and your necklace is gorgeous! That necklace really stands out perfectly against that shirt, Lydia!! We also put up our tree this weekend. Loving the burgundy and that vest. Look at you getting ahead with your tree! Good for you two! I just know that this year I will be way behind schedule and it makes me so sad! I love your vest! The color looks great with your sweater! I got my tree all set up this weekend too - and I'm feeling pretty proud of myself for that! That tree farm sounds so amazing! and I really love your necklace! Love this post! Perfect for the holidays. Such a perfect look for getting your tree! I love personalizing jewelry, as it always make gifts more meaningful! We are getting ours this weekend! We're also going to a tree farm, which we've never done before so I'm excited! Love that monogram necklace. The size is perfect. My tree is still not up, but I did get most of my shopping done. I love this furry vest so much I wish I could justify getting it. We got our tree last weekend too! Love that vest! So cute! 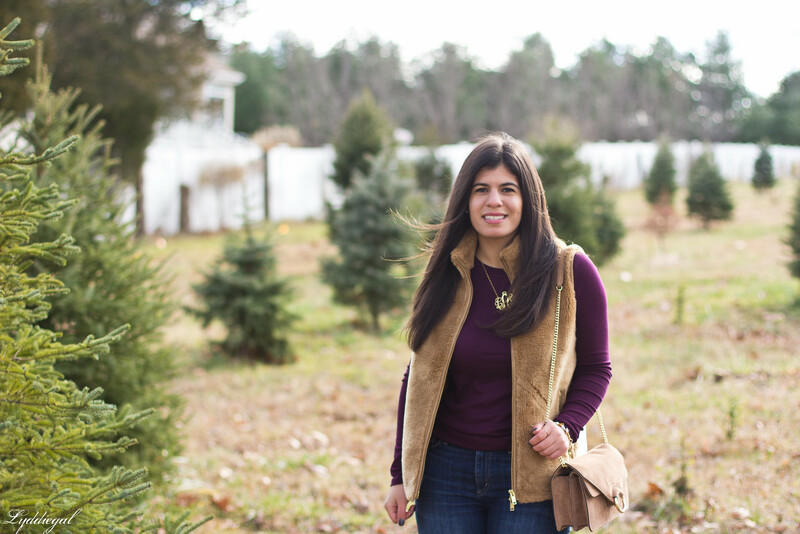 I really love this vest and your monogram necklace! 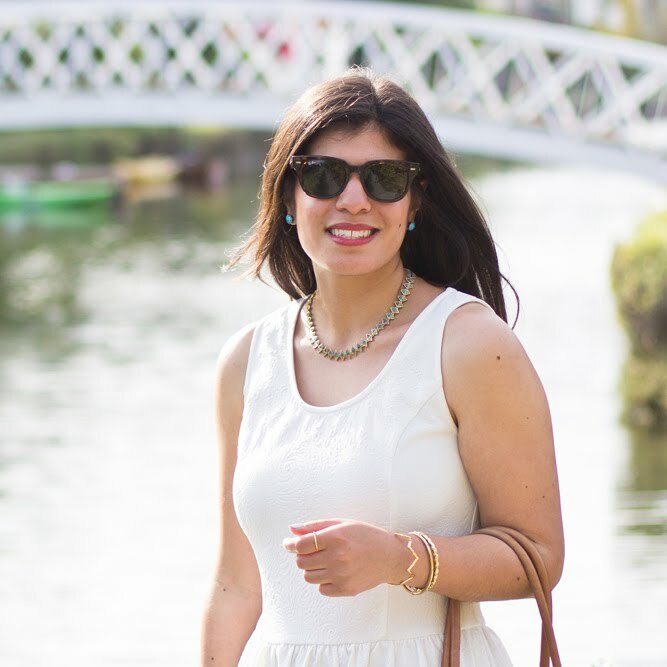 Your look is perfect for such an activity! I love your vest and necklace! Oh wow - 40.00 USD is a good price for a Christmas tree. Here they are super expensive. I should be buying mine brought in through refrigerated containers over the weekend.